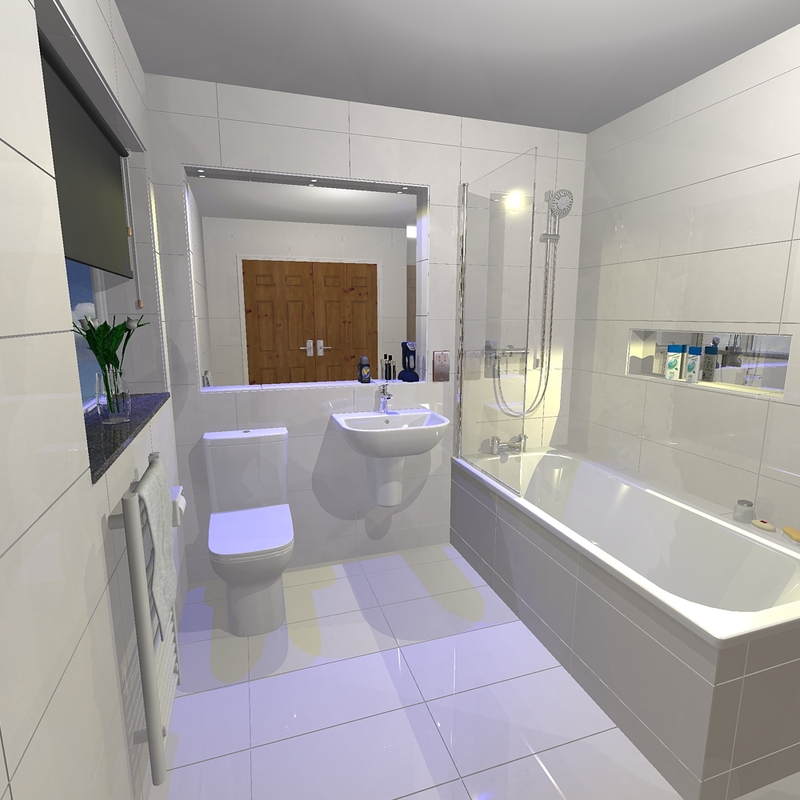 Buy These Bathroom Goods for Just £2000 Inc Vat! The goods pictured in the design can be yours for just £2,000 Including VAT. The goods include, Basin and WC suite which have a 10 year goods guarantee, The Basin tap, Bath taps and Shower kit with a 5 year guarantee, The Bath screen with lifetime guarantee, The steel enamel bath with 30 year guarantee, The white 800 x 400 mm towel warmer with chrome angled valves and also the Tiles which are gloss or matt white 60 x 30 cm Rectified Porcelain based on up to 20 metres square coverage maximum. Price does not include installation of products and the images in the design may not reflect the true quality of the goods they represent. This offer is ongoing, however as the industry price increases occur year on year, the value of the offer can alter without notice to suit said increases as and when they happen. You may add additional items or upgrade / change the ranges / sizes of products but this will inflate the value of the offer depending on the changes made. Call today on 01962850237 or e-mail us at info@sovereignbathrooms.com for any further information or assistance.